Zhang Yunlong, Liu Ruilin, and Huang Mengying all graduated from the same class (like twenty people who took every class together) at Beijing Film, while Daisi and Qiao Xin are a year apart from Central Drama. Zhang, Liu, Huang, and Daisi all work for Yang Mi. 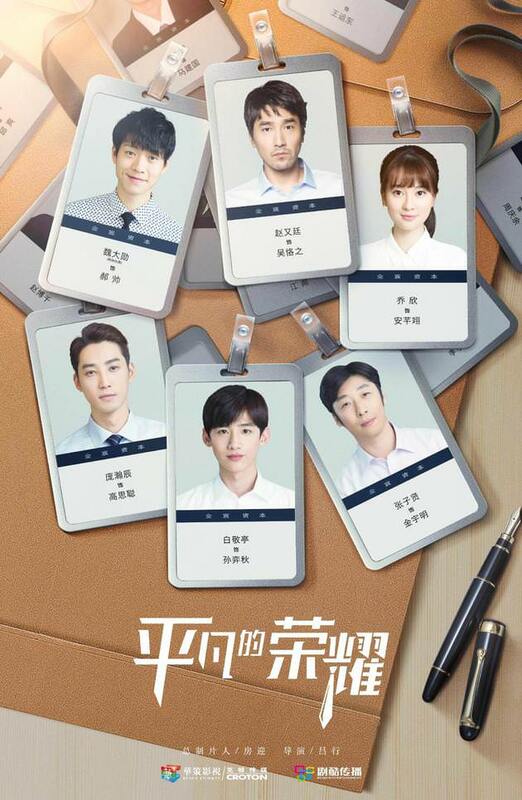 Young, good-looking, and mostly already bff’s since so many of them went to the same college and works at the same company and have been in every other drama with each other, the cast of In Youth 趁我们还年轻 – Zhang Yunlong, Qiao Xin, Liu Ruilin, Daisy, Huang Mengying, and Huang Bojun are so adorable together. The trailer was imo the cutest looking of the modern trailer smorgasbord released last month. Screenwriter and novelist Hai Yan has teamed up with Daylight Entertainment again to produce The Wind Blows in Changlin, a sequel to 2015 hit drama Nirvana in Fire. 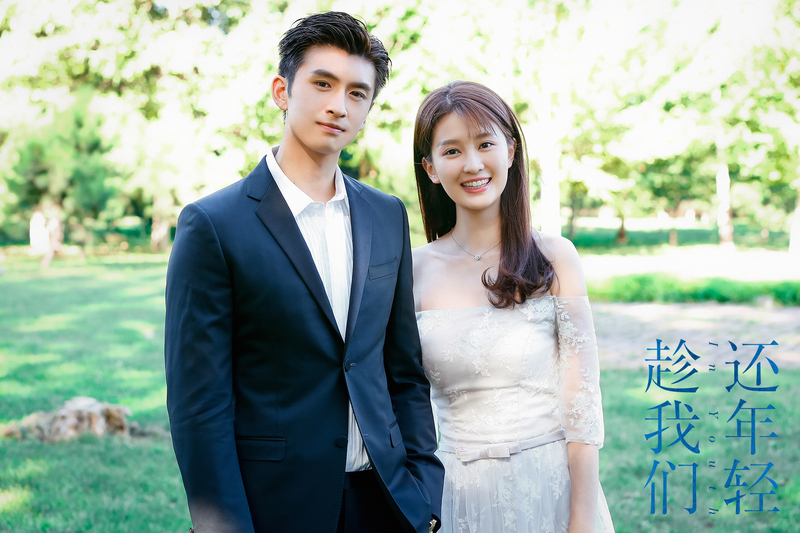 In Youth 趁我们还年轻 is an idol romance set in the corporate world, and stars Zhang Yunlong (Xuanyuan Sword: Clouds of Han) and Qiao Xin (Ode to Joy) as leads. 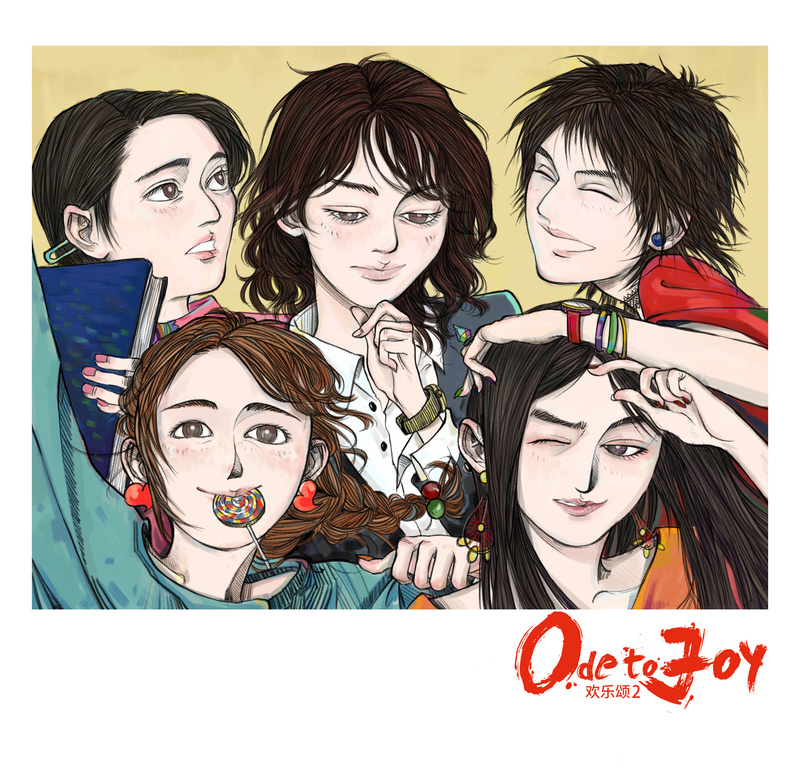 As Ode to Joy II 欢乐颂 2 is geared up for release, here’s a review of season 1 of the hit series from 2016. Witty dialogue and a cast of memorable characters make Ode to Joy one of the most fun sit-coms in a while. Unfortunately, the series is often dogged down by attempts to shift to a melodrama that makes the ff button a necessary friend. The series focuses around the unlikely friendship between five women who share a floor in an apartment complex in Shanghai. There’s Andi (An Di? 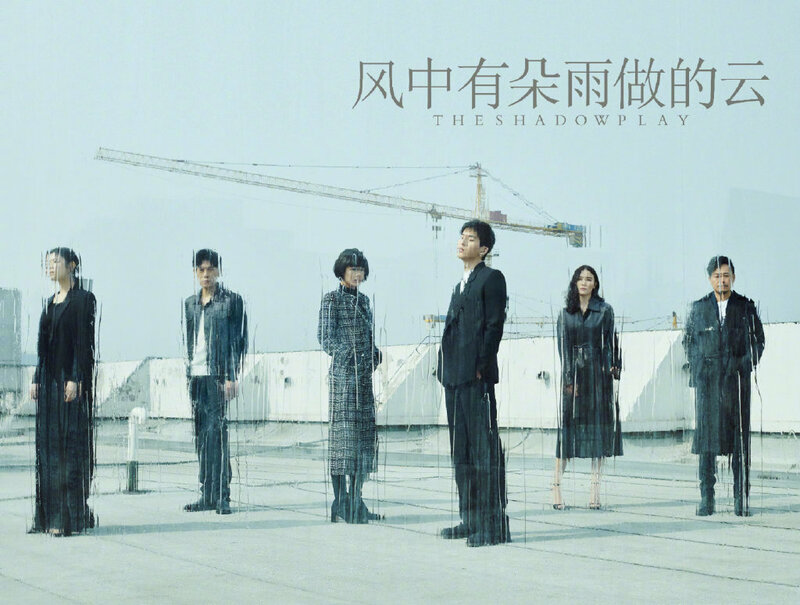 ), the business professional with a fear of human touch, Qu Xiaoxiao, the heiress fighting for the family inheritance, Fan Shengmei, the gold-digger with an entitled family, Qiu Yingying, the happy-go-lucky college grad, and Guan Ju’er, the ordinary white-collared girl who has never said no in her life. 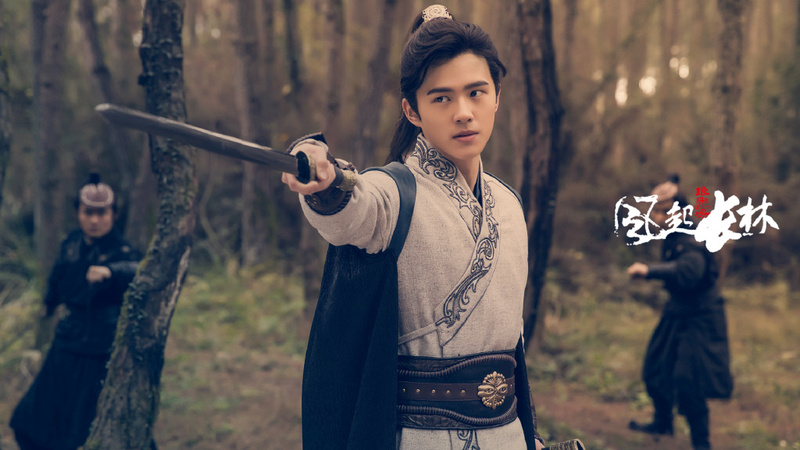 Coming from a misogynistic rural family, Fan Shengmei (Jiang Xin) is vain, self-centered, but also righteous and protective. She would lie to help out a friend, but also to save face. The first lets her befriend the women in the apartment complex, but the second gets her in trouble as she falls for men who use her vanity to play her. When she falls in love with a man faked his own wealth to date her, she is caught between love and vanity. Imperfect, complex, and sharp-tongued, Fan’s characterization is perfect. Season 2 of Ode to Joy has released stills of the five ladies Liu Tao, Jiang Xin, Wang Ziwen, Yang Zi and Qiao Xin and their respective pairings. I’m still interested in checking out the premiere, though I’ve been keeping hopes low after season 1 fell short of expectations. The Wind Blows in Changlin 琅琊榜之风起长林 wishes everybody a Happy New Year! Starring Huang Xiaoming, Liu Haoran, Tong Liya, Zhang Huiwen, Sun Chun, Wu Haochen, Mei Ting, Zhang Bo, Guo Jingfei, and Qiao Xin, get a glimpse of the costumes and sets while you can!